"While clinical development is still early, we are excited by ABY-039’s potential to be an optimal subcutaneous therapy across a number of IgG-mediated diseases, providing patients with the possibility of a convenient self-administered treatment option." BOSTON & SOLNA, Sweden--(BUSINESS WIRE)--Alexion Pharmaceuticals, Inc. (NASDAQ:ALXN) and Affibody AB today announced a partnership to co-develop ABY-039 for rare Immunoglobulin G (IgG)-mediated autoimmune diseases. Currently in Phase 1 development, ABY-039 is a bivalent antibody-mimetic that targets the neonatal Fc receptor (FcRn). ABY-039 has been specifically designed to combine Affibody’s protein therapeutics platform (Affibody® molecules) and Albumod™ technology to achieve a long half-life, which, along with its small size provides the potential for less frequent, convenient, at-home subcutaneous administration. ABY-039 is being evaluated in a Phase 1 study in healthy volunteers. This adaptive, double-blind, placebo-controlled study is evaluating the safety, tolerability, pharmacokinetics and pharmacodynamics of ABY-039 and will aid in dose selection for future studies. The companies are assessing potential indications for future development. Alexion will discuss the partnership further during today’s Investor Day event and webcast. Affibody® molecules are a class of small optimized proteins with high affinity based on a non-immunoglobulin three-helix bundle domain scaffold. Affibody® molecules have certain potentially advantageous features for therapeutic applications including (i) small size resulting in rapid tissue penetration and efficient delivery of higher molar doses for the same mass vs. larger proteins, and (ii) robustness resulting in potential for alternative administration routes. The Albumod™ Platform uses a small optimized protein with an albumin binding domain (5 kDa) with high affinity to albumin (sub pM) to provide half-life extension and a wider distribution profile than antibodies to Affibody® molecules and other therapeutic proteins. The Affibody® technology, which includes the Affibody® molecules (6 kDa size, no Fc function) and Albumod™ platform, enables modified and enhanced pharmacokinetics through the albumin binding domain, offering the same distribution profile as albumin. Affibody is a private clinical-stage Swedish biotech company focused on developing into an integrated biopharma company utilizing next generation biotherapeutics based on its unique proprietary technology platforms: Affibody® molecules and Albumod™. The company operates a focused experimental medicine model and currently has three clinical-stage programs. The first two are therapeutic programs that target psoriasis and rare Immunoglobulin G (IgG)-mediated autoimmune diseases. The third program is a diagnostic imaging program that is directed primarily towards metastatic breast cancer. In addition to its portfolio of innovative drug projects, the company offers the half-life extension technology, Albumod™, for outlicensing. For more information on Affibody, please visit the company’s website at www.affibody.com. 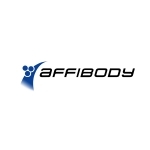 Affibody AB is a holding of Patricia Industries, a subsidiary of investment holding company Investor AB. Investor AB, a Swedish investment company founded in 1916 by the Wallenberg family, is the leading owner of high quality Nordic-based international companies. The company makes controlled investments in leading companies with strong market positions, brands and corporate cultures within industries positioned for secular growth with the ambition to be the sole owner of their companies, together with strong management teams and boards. This press release includes forward-looking statements, including statements related to the therapeutic and commercial potential of ABY-039, the research and development plans for ABY-039, the potential of ABY-039 and other anti-FcRn-targeted therapies and the potential benefits of the collaboration. Such forward-looking statements are subject to risks and uncertainties that could cause actual results to differ materially from those expressed or implied in such statements. The process by which an early stage product such as ABY-039 could potentially lead to an approved product is long and subject to highly significant risks, including for example, decisions of regulatory authorities regarding the adequacy of our research, marketing approval or material limitations on the marketing of our products, delays, interruptions or failures in manufacture and supply, failure to satisfactorily address matters raised by the U.S. Food and Drug Administration and other regulatory agencies, the possibility that results of clinical trials are not predictive of safety and efficacy results in broader patient populations, the possibility that clinical trials could be delayed, the risk that anticipated regulatory filings are delayed, and a variety of other risks set forth from time to time in Alexion's filings with the SEC, including but not limited to the risks discussed in Alexion's Annual Report on Form 10-K for the fiscal year ended December 31, 2018 and in Alexion’s other filings with the SEC. Alexion and Affibody AB disclaim any obligation to update any of these forward-looking statements to reflect events or circumstances after the date hereof, except when a duty arises under law.